Last month, I got an invite to attend a very special launch at Manila Peninsula in Makati. Traffic was very bad, but I made sure I wouldn't miss it. After 5 successful, not to mention fabulous years in the market, CHARM launched its most sosyal and prettiest makeup brush set to date...the Charm Travel Pro Sonia. Don't get me wrong, I love her pink brushes, but ever since I hit the double 3 this year, I am trying to start to look (and act, ows!?) my age. Pink has always been associated with kikay, younger women...and geesh, in as much as I wanted to stay young, I simply can't! So when she came up with the hot pink handles for her first travel pro set last year, I asked her if she can come up with black and gold. I've always thought of that combo as mature, and well, fab. And so imagine how happy I am when she finally told us she's coming up with the black/gold set. 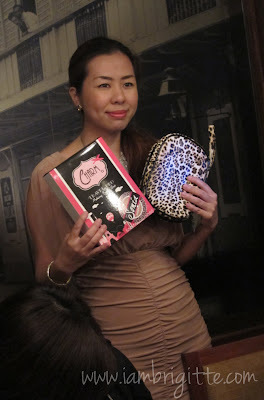 And our darling Sophie didn't stop there, she even decided to house her new babies in an animal-print brush purse! But wait, there's more! (laughs) I know most of you have been on the lookout for a great makeup brush cleanser for a long time now. Well, there's a number available in the market, but most of them didn't really meet all of my expectations. There's this one from a famous brand that I so love, it really gets the dirt out of my brushes while caring for the brush hairs but the price is a bit steep. There's this another one which gets the job done, but the smell doesn't go away...it's too strong that even my air freshener's no match to it. 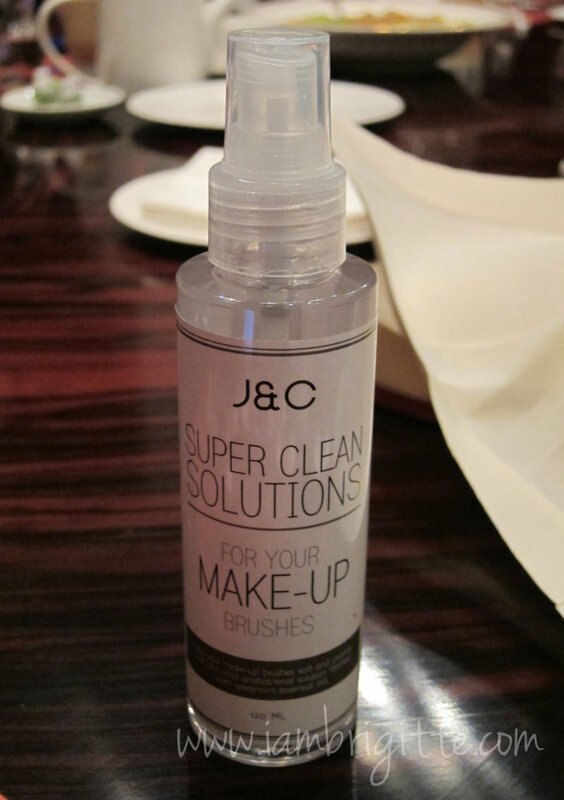 But worry not, here's a new makeup brush cleaner in town...the J&C Super Clean Solutions. 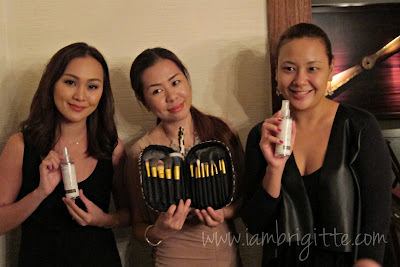 Business partners, Jenny Yrasuegi and Celine Gabriel-Lim, both know that high-quality brushes are expensive investments to women. Whether a makeup artist, or just a makeup enthusiast, you want your brushes to stay in its prime condition. While some brush cleaners can do the job, sometimes it takes the brushes a while to dry. This becomes a problem when you are in a makeup gig and you have a number of clients to put makeup on, or you simply don't have a backup of a brush you like to use everyday. 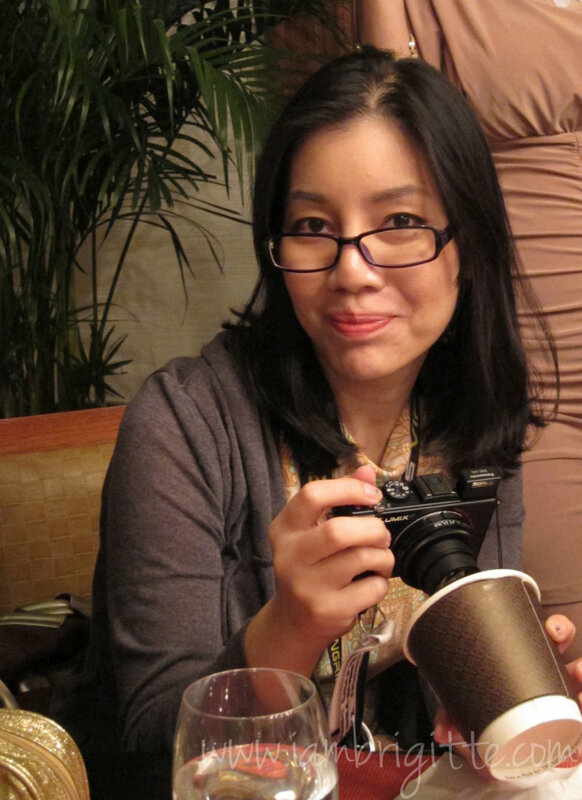 After working with a team of specialized chemists, Jenny and Celine finally came up with the perfect brush cleaner. Their Super Solutions brush cleaner gets the job done faster, at not even half the price of some imported brush cleaner..and it's also fortified with spearmint oil, to keep it smelling fresh and clean and in tip-top shape! I love the smell so much that I am keeping myself from using it as a gargle. (laughs) Seriously, i love the minty scent. It's not too overpowering, it does stay on but it's not annoying like the one I used before. 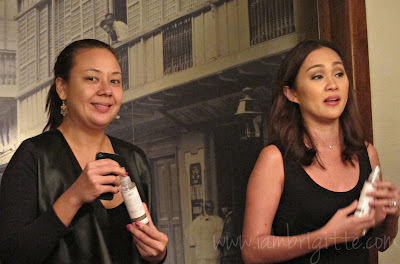 Mind you, it can clean brushes that have been used with cream foundations or concealers. You know how hard to take those nasty formulations off our dear brushes! 1. Spray it on the brush and gently swipe the brush on a clean tissue. Repeat until all the dirt gets off. What I do is I spray it ON the tissue then I wipe the brush on it. Okay, OC na. But I did try spraying it directly on my brushes and the hairs didn't go wonky after drying! 2. Pour a small amount of the solution in a cup, soak then swirl the brush in the solution. Make sure that only the brush hairs are soaked. You wouldn't want our dear brush to come off its ferrule! The price? It's Php395 for a 125/ml bottle. It's affordable, it works and travel-friendly too! 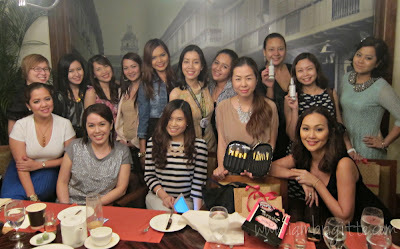 Beautiful, Brainy, Awesome, Fabulous and very good entrepreneurs...hay, you girls already! 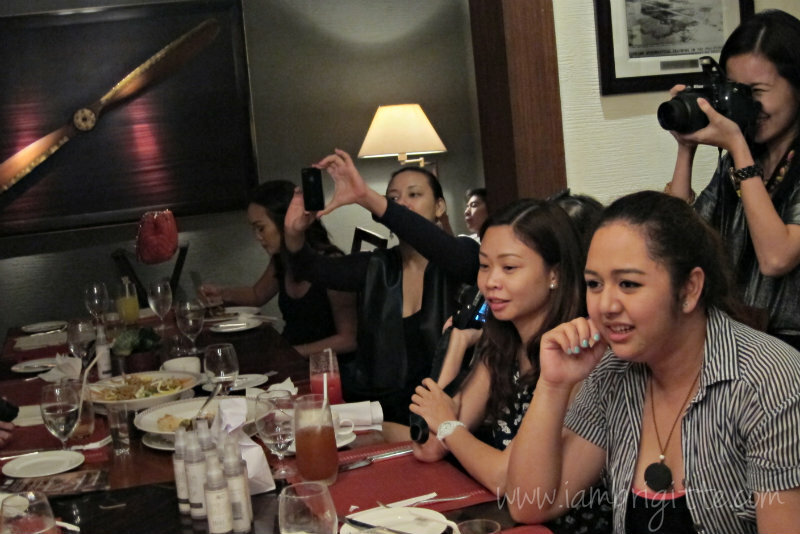 and of course, we wouldn't miss the mandatory group shot..LOL! Thanks Sophie, Jenny and Celine for that wonderful night of chismisan (laughs), good food and good company. I really enjoyed making chikahan with all of you. Visit the FB pages of Charm and J & C Super Solutions to know more about their products or to purchase. 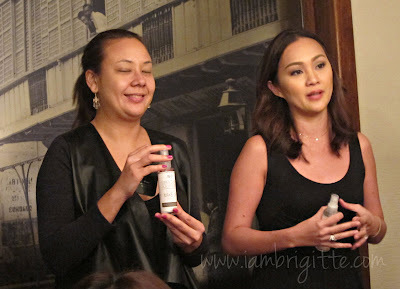 Me thinks this is one of the coolest beauty collaboration to date!